With impressive sea views, this centre is situated on Avenida Marginal and is within walking distance of restaurants and hotels. This is a modern office facility offering a range of solutions to suit your budget. All inclusive deals are available, and the spaces are ready for immediate occupation. The region also provides great local transport links, with Maputo Railway station close by and frequent bus services running in the area. Located in a well known building in the heart of the CBD this center provides contemporary offices and meeting rooms and sits just 15 minutes from the airport. The building is also surrounded by a number of cafes, restaurants and hotels. Here, you can grow your business in a cost-effective way, with a range of office space solutions to accommodate a range of business types. There is also 24-hour access and security. These fully equipped office are modern, spacious and comfortable, and are available in a range of configurations. This versatile centre accommodates projects for both individual leaders or large collaborative groups. Visiting clients and executives will surely be impressed by the hot spots that stand at close quarters to the centre. This office benefits from a central location close to restaurants, bars and shops. 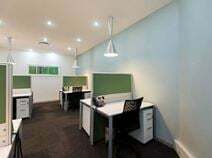 Located just outside Matola and less than 15 minutes from Nampula Airport this affordable and flexible office space is located within a corporate building, ideal for anyone wanting to make a great first impression on their clients. With 24-hour access you can work to suit your schedule. The centre also features meeting rooms, business lounges and a professional reception desk. Furthermore, the centre is surrounded by a host of useful local amenities that are perfect for enjoying outside of office hours including numerous restaurants, bars, hotels and retail outlets. Close to great cultural landmarks such as the Avendia Theatre the location of this business centre is ideal for entertaining clients. 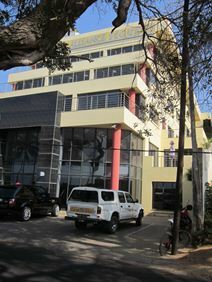 Situated in the heart of the Maputo tenants have a choice of fully furnished co-working areas, workstations or private executive suites. Here, numerous professional services are provided including; 24-hour access, business lounge areas, meeting rooms, IT support, high-speed internet and friendly reception service. 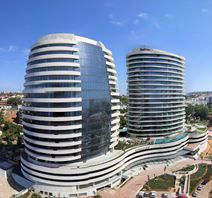 In addition, the centre is situated in central Maputo and is surrounded by a multitude of local amenities including restaurants, bars, retail outlets, banks and hotels. With a prestigious coastal location that is surrounded by 5 star hotels and fine dining restaurants this business centre offers a relaxed location even though it is in the heart of the city. Excellent road connections mean easy access to and from the co-working areas and fully furnished private suites and shared spaces. There are great on-site facilities available for you to use, and the centre is also accessble 24/7 so you can work through late hours. Providing a choice of 17 unbranded offices of various size this premium mixed-use development tower on the Marginal offers its inhabitants wonderful sea and city views from a corporate working environment. 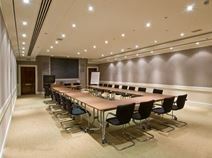 On-site conference facilities are also available and suitable to cater for up to 450 delegates. There is an onsite management team, and the space is accessible 24/7. 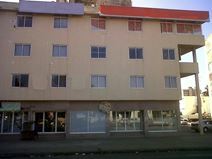 Its all inclusive pricing keeps you well connected, with phone, internet, printing and reception services included. There is complementary tea and coffee provided onsite. Close by, there are events venues where you can host conferences and conventions. This centre is set within a modern building with great natural light throughout the day, allowing employees to work in a bright, airy and productive environment. Offices are available on flexible terms at affordable prices. Professional amenities include spacious meeting rooms for collaboration, business lounge area and high-speed internet connection. The centre is accessible 24-hours a day allowing for increased flexibility. Well situated in the heart of central Maputo, this centre is well connected through public transport and road links, as well as being surrounded by plenty of local amenities including restaurants, bars and hotels. Situated within Mozambique"s capital city this prestigious location is within a high-end residential property just 15 minutes from the airport. A business lounge with terrace provide beautiful views that complement the fully furnished and flexible office spaces. Other useful services include; secure on-site parking, dedicated reception desk, 24-hour access, high-speed internet. This office building is situated nearby many local amenities including; bars, restaurants and retail outlets. Public transport links are also numerous and the building has great access to major roads surrounding the area. The airport is also extremely proximate, allowing your business to maintain global relationships with ease. This premium residential property located in the heart of Maputo, provides a range of excellent modern office solutions for businesses. Private offices come fully equipped and beautifully designed, with high speed internet and ergonomic furnishings. Flexible terms and affordable rates allow you to benefit from this professional workspace, stress free. Spaces are bright, spacious and open, with plenty with natural light - you can also make great use of an outdoor seating area to meet informally or simply relax. Major roads are accessed easily and car parking facilities are found within walking distance. The airport is only a quick 15 minutes away.